Star Light, Star Bright, let’s go on a space adventure tonight! 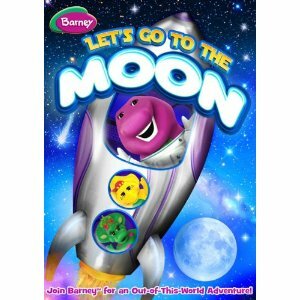 Barney encourages Riff to always reach for the stars, even when his homemade spaceship doesn’t reach Mars; Baby Bop learns about Mr. Moon’s important job lighting the night for the world and BJ sees he’s special just the way he is – astronaut or not. Barney and his friends discover that the sky is not the limit when you use your imagination! If you child loves Barney they will just love this new DVD. This is a fun dvd to watch. My 2 year little nephew just adores Barney and was a big fan of this DVD. 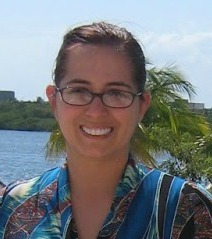 I am a fan because of the great life lessons this DVD teaches you to use your imagination and think. I love the space theme, it is cute and kids will love it. So if you are a fan of Barney or if you are a new parent or grandparent and are not that familiar with the big purple dinosaur Barney, why not give him a chance the kids love him, and I am sure you will love him too. The generous folks at Lionsgate are offering one of Susan’s Disney Family readers a chance to win a of Barney: Let's Go to the Moon! DVD of their own. To enter please let me know your favorite character from the Barney series. There are also other ways to enter, please enter below. My grandson's favorite is BJ! My sn loves Barney the most. Thanks so much for the fantastic giveaway and happy New Year! My daughter loves baby bop! My favorite is Baby Bop. My son loves all the characters, but his favorite is Barney! The little one likes Barney best! Baby Bop is my favorite but my son likes Barney.